The Northeast Illinois Council Executive Board is elected annually by the Council members at large and Chartered Organization Representatives. The Executive Board is the governing body of the council territory, empowered by the council body to act in its stead. It takes action to achieve the purposes of the local council. 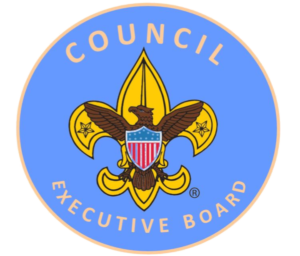 It establishes the council program, carries out resolutions, establishes and enforces policy and hires a Scout Executive, all according to guidelines of the Council Body. Exercises all powers of the council body between meetings of the council. This does not include authority to change or amend the articles of incorporation. Approves the program and plans of various committees. Selects and employs a council Scout Executive when a vacancy occurs. Approves and administers a budget adequate to achieve the objectives of Scouting. Coordinates and supports the work of districts in various phases of Council Program and works to build strong district organizations. Raises the dollars necessary to carry out a full Scouting Program in the Council.